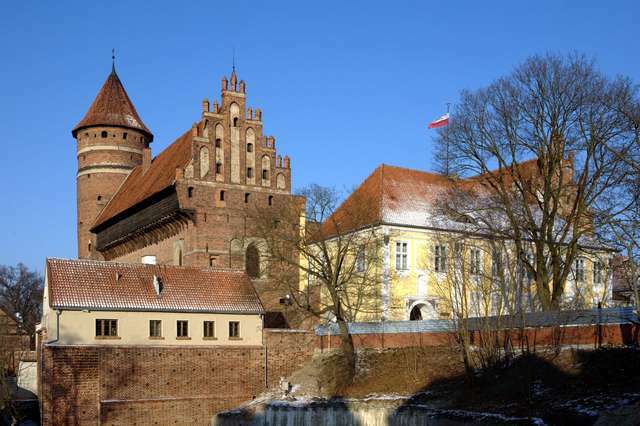 The Museum of Warmia and Masuria in Olsztyn was founded in 1945. 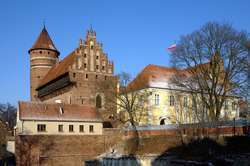 The institution is seated in a fourteenth-century Gothic castle built for the administrator of the Warmia Chapter’s estates. In the years 1516-1521, this function was performed here by Nicolaus Copernicus. To this day, on the gallery wall there remains a unique memento of his stay – a hand-made experimental astronomical table, while the Library's collections hold the medical incunabula he used. The museum gathers relics of the region's past from the field of archaeology, history and numismatics, ancient and modern art, artistic handicraft, literature and folk culture. The unique character of the collection is created by, among others, sets of: Gothic sculpture, Warmian religious painting, Dutch portrait, pewter and bell founding products, contemporary graphics.